This entry was posted on Çarşamba, Şubat 13, 2008 . You can follow any responses to this entry through the RSS 2.0 feed. You can leave a response, or trackback from your own site. elinde makas olan lacivert ceketli benim. 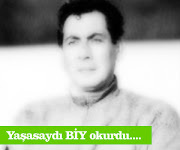 yuzum cikmami$ ama.